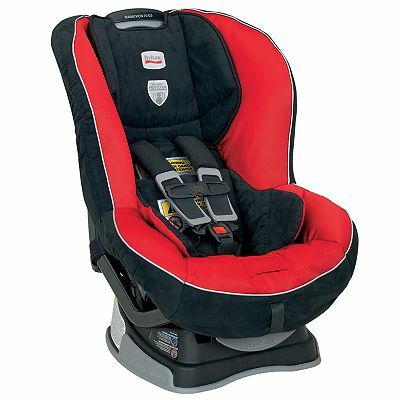 This is the summary of consumer reviews for Britax B-Safe Infant Car Seat. The BoolPool rating for this product is Very Good, with 4.20 stars, and the price range is $134.99-$179.99. 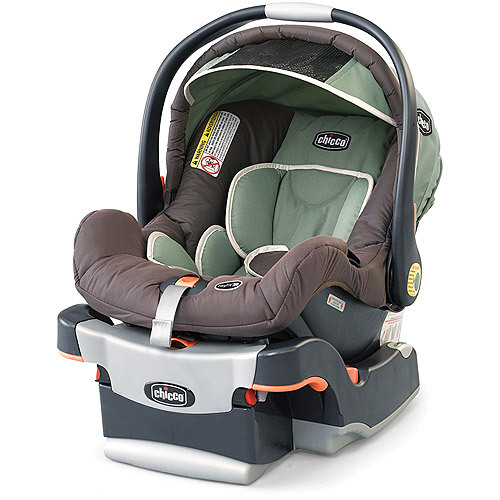 Lightweight and travel friendly, the BRITAX B-SAFE Infant Car Seat provides your child with comfort and safety. Featuring Side Impact Protection and an energy-absorbing foam liner, the B-SAFE car seat ensures your child is protected from all angles. 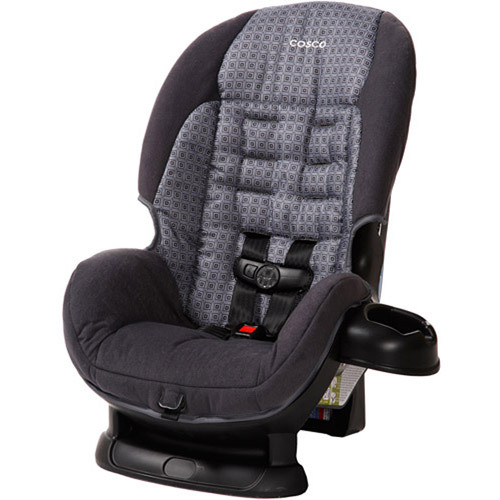 For parental convenience, the seat also includes premium, push-button lower LATCH connectors, a built-in lock-off, and an ergonomically designed handle to make the seat easy to install, remove, and carry. Side Impact Protection distributes crash forces, shields from vehicle intrusion, and contains the head and body. For further safety, a tangle-free, five-point harness provides a secure fit and distributes crash forces across the strongest parts of the body. Additionally, an energy-absorbing foam liner inside the seat further absorbs and distributes crash forces. Removable shoulder and belly pads add comfort, and a large, multi-positional canopy protects your child from wind, rain, and UV rays. This car seat is a sturdy, good quality seat. It is very easy to use. People have no problem in installing the base or buckling the child into the seat. This seat is also safe because it goes on to the base tightly and securely. The fabric is also good because it is easy to clean and it does not heat up in hot weather. This car seat is very useful, but it can be heavy and difficult to carry around. That is because it is intended to be used with the Britex B-Agile Stroller, and when it is used with the stroller, it is extremely convenient and easy to use. Overall, this car seat is a good buy with or without the stroller. It is durable and safe. But if used without the stroller, it will be very difficult to carry around. 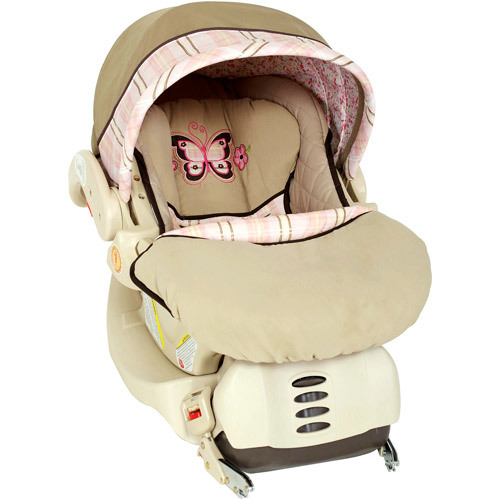 Easy to install base, car seat goes on the base nicely and securely as well as easily removed. The base easily installs with the rails system. The B-Safe base is narrower than the Snugride base and fit much better next to my toddler's big . car seat. 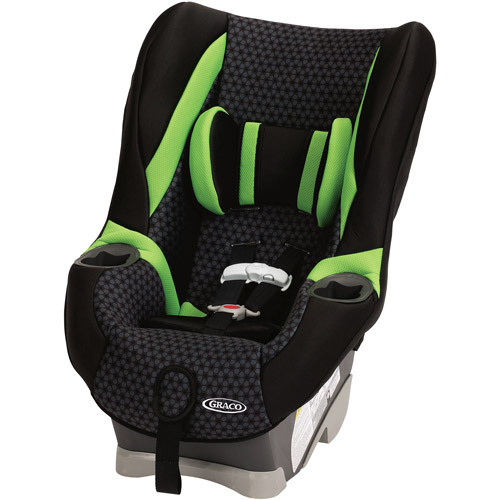 The Chicco base wins for ease of installation, with its pull-strap mechanism for LATCH and easy seat belt lockoffs. 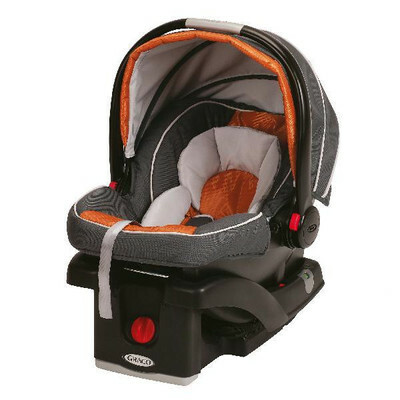 It snaps in ever so easily into the base and it's an easy transition to Britax strollers too. Adjusting the foot of the base isn't as easy as a Chicco KeyFit or Graco Snugride base. If you loosen the straps before buckling baby in, it'll make your life 10 times easier. I recommend this product because it's spacious, comfortable, good quality, nice color, includes base to place in the car. Both the B-Safe and the KeyFit 30 fit tiny babies really well, thanks to the infant padding provided by each manufacturer. Right out of the box it was easy to read instructions and install the base into my SUV. They hold up very well, from child to child and travel well (we fly overseas a lot). So, despite our initial misgivings the Britax seems to be working well and the price was pretty good as well. 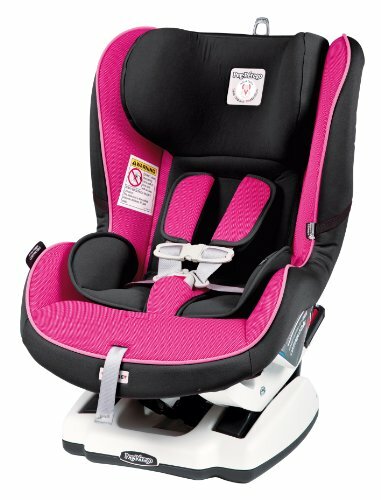 The Britax B-Safe infant care seat is very well made, and easy to use. So far, the car seat has worked very well. The Britax was very easy to install. 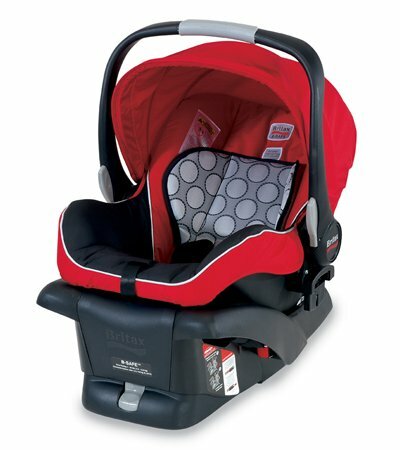 Quality wise, you can't compare, Britax is so well built!. Padding is very sufficient, and the materials are well made and good quality. I love how easy these car seat straps/buckles are to adjust and how easily they install into cars. I didn't think I'd like the dark color but it's been easy to keep clean and also seems comfortable. 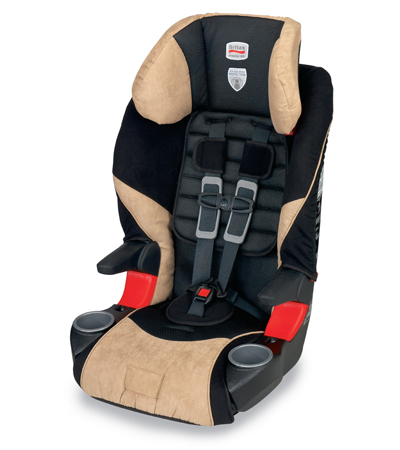 My son sems to be really comfortable in it and it's very easy to switch the base between cars. The britex b-agile stroller is phenomenal. I'd highly recommend this car seat ONLY if you're planning on getting the stroller (worth it, IMO, because the stroller is AWESOME). uncomfortable to carry : it's intended to be used with the stroller - a great stroller - but the way the seat snaps and releases from the stroller is via two knobs on either side of the seat because the stroller has no tray. I also bought the Britax B Nimble umbrella stroller to use with this for quick trips and I'm happy with all of Britax's products. snaps into one of the best strollers I've used. So I tried hard - couldn't remove them :( I want to use different stroller (not B-Agile), and these adapters aren't necessary. As this carseat has a higher weight limit than the snugride and could snap into the B Ready stroller I decided to splurge on this and I'm very happy I did. So, if you like the stroller, I'd recommend this for the snap in convenience and the low price but if not get another seat, this one is uncomfortable for babies and moms alike!. Will great with the matching B Agile Stroller I've in kiwi. One thing that's worth it's a stroller. And my baby can sleep well ...like a baby in this. That said its really luxurious and safe and keeps the baby well cushioned. I love the snug fit It was able to give my baby. Fits seamlessly with the . . The seat feels sturdy and baby gets good support. I love this car seat but would suggest you put it in your car before the baby comes to be sure it fits well. Our munchkin loves to be toted around in the car seat and it fits perfectly with the Agile Stroller (though you need to get the adapters which are easy to install). She must have thought it was comfortable as well because she loved riding in the car. I know that with this my baby is safe and comfotable. Its a definite plus that in the cold weather I wont have to juggle with fitting it on the stroller. I feel confident that my baby will be safe in the car- which is paramount to me. It's a little heavy to carry around, but the stroller that it pairs with is perfect. It's easy to install, very sturdy and extremely convenient with the b-agile stroller. Purchased this car seat as part of the travel system with b-agile stroller. I mainly compared the B-Agile/B-Safe Travel System with the Chicco Key Fit 30 System because of high customer and safety ratings. I love The travel system is convenient and easy to use. Bought this car seat because it matches perfectly with the Britax B-Agile stroller. We bought this car seat to go with the B-Agile stroller. Easy to install using LATCH (haven't used the seat belt so can't say about that installation) and easy to buckle the baby into the seat. They make a great travel system and our baby is quite happy riding around in this seat. Installation was a breeze, it's easy to use, easy to clean and the black fabric stays cool even in our Texas summers. the car seat is easy to install and very user friendly...but...it's super heavy and hard to hold.